AmazeKids’ Danny Orleans began his career performing at kids’ birthday parties. 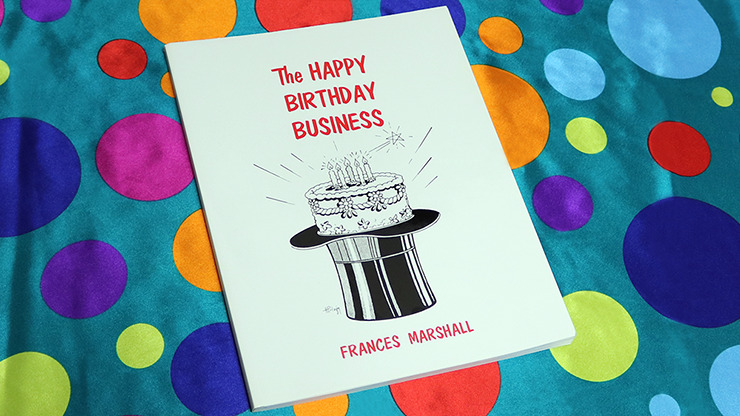 When he started performing shows in Chicago, one of the books that gave him tons of ideas was The Happy Birthday Business, by Frances Marshall. She ran Magic, Inc. which was the magic shop in Chicago and, along with performing at hundreds of parties herself, she booked a bunch of birthday party clowns and magicians. She compiled tricks, patter, and marketing strategies of the day into this 128 page, perfect bound softcover book. This is one of the first books on the “birthday party biz” and is filled with routines specifically geared for children with props you probably already own. Truth? We were not surprised, Upon rereading this, that many of the plots and themes of the routines do more than just “hold up.” They are sure-fire laugh-getters. Happy Birthday, or Merry Christmas! When you get The Happy Birthday Business, you’ll be taking a step back in time, learning from one of the birthday party master magicians of her day. Armed with this information, you’ll be able to take many steps forward as you incorporate the tricks, giveaways, marketing and negotiating skills she teaches to improve your shows and your business.